We create animation for kids of all ages. We craft fun and entertaining stories. We create colorful and engaging characters. We push the boundaries of art and technology. We are Omens Studios, an award-winning animation and interactive studio built for the digital age. We create fun characters and engaging stories that resonate with kids of all ages. We believe in working together, going the extra mile and making a difference with what we do. We constantly strive to build a culture and work environment for storytellers, artists and technologists to create our best work and to bring our content to wherever our fans are. Our work in animation and with interactive media is many and varied, some of which has garnered recognition internationally. 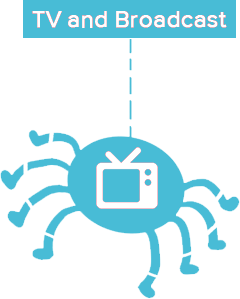 With seasoned creative and production teams in-house, we produce original titles from concept to full series for TV broadcasters, commissioners and various digital distribution platforms. 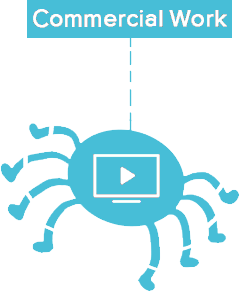 We are always on the lookout for winning animation ideas in-house and from around the world. 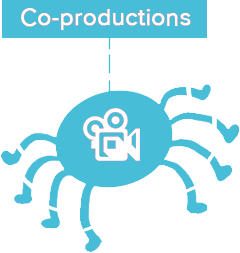 We bring together tax subsidies, film funds and private investors to finance, develop, complete and distribute productions. 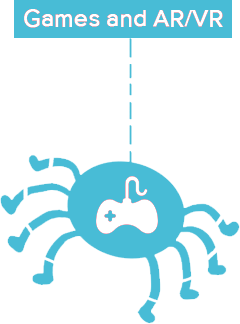 We design and create games and interactive applications on iOS and Android mobile devices based on our titles and those of our partners and clients. Our experience with Augmented and Virtual Reality gives greater immersiveness to next-generation applications. We work with advertising and media agencies and production houses for projects that range from TV commercials, visual effects to new media projects. 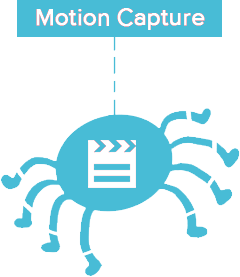 We are equipped with one of the latest mobile and wireless motion capture technology, allowing us to capture any kind of motion anywhere. Argo's World is now in Post-production! It's a wrap! With all shoots complete, we now move on to post-production for our new series Argo’s World. One of the industry's most important events in Asia with thousands of visitors each year, it is a great place for Leo and Paula to meet new global partners! Having won The Best Children's Animated Programme or Series 2018, Paula competes against rest of the award winners in Asia at a grand dinner and awards ceremony. Omens Studios' new project Team Special is shortlisted as the Top 10 in Asia for Cartoon Network’s Imagination Studios. Paula Wins for Best Children Animated Series! Counting with Paula has won the Best Children’s Animated Programme or Series award for Singapore as part of the inaugural Asian Academy Creative Awards. Omens Studios will be at MIPCOM 2018 in Cannes, France with new content. Book a meeting with us! Leo is now on Tencent Video in China! With over 500 million active users monthly and 63 million subscribers, the Tencent Video platform is truly an exciting place for Leo to be! A brand new season of Counting with Paula has started production, slated for completion by October 2019. With the completion of principal photography, VFX work has begun on our first feature project Circle Line, slated for completion by July 2019. Paula in Catalonia and Korea! Counting with Paula Season 1-3 is now available in Spanish in Catalonia by Televisio De Catalunya, and in English for Korea by CJ E&M. Counting with Paula Season 1-3 is now available in China in Mandarin on CCTV and iQiyi. Our award-winning series Leo the Wildlife Ranger is now available on ZooMoo TV across South-East Asia. Omens Studios will be back in sunny Miami at the Kidscreen Summit. Catch up with us there from February 12 - 15. Omens Studios will be at the Asian International Licensing Fair in Hong Kong January 8 - 10. Drop by Changi Airport’s brand new Terminal 4 to watch Omens Studios’ original Tales of Christmas on the giant 70m by 5m screen. We couldn’t be more proud! Counting with Paula has been nominated for the 2017 Asian Television Awards - Best Preschool Program. Mediacorp Singapore greenlit our latest series based on STEM principles, The World According to Marie and ARGo. Stay tuned for the launch date! Omens Studios will be back in Cannes for MIPJunior and MIPCOM. Catch up with us from October 14 - 19. Given the high ratings from season 1 and 2, Mediacorp has commissioned the third season of Counting with Paula for okto. It will premiere in February 2018. Omens Studios has been invited to be a part of IE Singapore's showcase at the annual iAdvisory forum. Our latest development, Mr Clayfield was shortlisted for the Seoul Promotion Plan 2017 Project Competition. We will be at the Kidscreen Summit 2017 in sunny Miami from 13-15 February. Omens Studios has a new home at our brand new facility at 1003 Bukit Merah Central #03-01! We will be at Asian’s premier TV market, the Asian Television Forum, at the Marina Bay Sands at the Singapore Pavilion from 7-9 December. Leo Wins Best Preschool Programme! We are happy and honored that our show “Leo the Wildlife Ranger” won the Best Preschool Programme at the 21st Asian Television Awards 2016! We are showcasing our Augmented and Virtual Reality applications based on our titles “Leo the Wildlife Ranger” and “Counting with Paula” at the Youth Media Festival as an IMDA Partner. “Leo the Wildlife Ranger” Season 1 episode 1-20 is now available on DVD on Amazon! And also, Leo-branded VR Googles for Virtual Reality fun with the family! We will be at the world’s premier TV market MIPCOM 2016 at Cannes, France from 17-20 October. We are happy to announce the signing of a worldwide distribution agreement for “Leo the Wildlife Ranger” with Cyber Group Studios (France), one of the world's top distributors of children animation. We are a team of professionals. We have the animator, the director, the producer, the writer, the artist, the technologist, the gamer, the coder, the business guy, the office mama, and many others. Keeping everyone on deck is a shared belief in respect for teamwork, open communication and a “can-do” attitude. We’re open to great ideas from everyone, and we work extra hard to maintain a fun working environment. Copyright © 2019 - Omens Studios. All Rights Reserved. “Counting with Paula” is a 60x11’ animated series for preschool children that makes learning about numbers fun and entertaining. The show features Paula and her friends, Tim, Billy, Chalky, Calc, and the Numbers as they go on journeys from the Amazon jungles to the deepest oceans and even outer space! Join the crew as they solve problems, have fun and make more friends along the way. Counting with Paula was nominated for Best 3D Animation at the Asian Television Awards 2015. “Leo the Wildlife Ranger” is a 60x11’ animated series for children aimed at inculcating knowledge and appreciation for wildlife and nature. The show features Junior Rangers Leo and Katie and their loyal canine companion Hero, on their quest to learn more about the beautiful animals and plants that surround us on this blue planet. Leo the Wildlife Ranger won Best Preschool Programme at the Asian Television Awards 2016. Download now for hours of fun for young children everywhere! Age appropriate and child friendly content and games! For years, Captain Shmelly has been obsessively searching the oceans for the whale that took his leg. The isolation of his long search, sweltering heat and crates of rum has left Schmelly slightly insane, paranoid and delusional. Cap’n Shmelly and the Sperm Whale was released in June 2014, and has made it to over 10 film festivals as official selections around the world, including the New York International Children’s Festival and Tres Court International. The short won the grand prize at the 16th Singapore TBS Digicon6 and competed at the finals in Tokyo. It was also showcased as a Vimeo Staff Pick. Gnome is our latest animated film for 2016. George is a miner who is on his way home after a tough day at the mines. His most rewarding find of the day—a rare and precious blue diamond. However, while seeking respite from the mid-day heat, his precious blue diamond is snatched by a strange creature. Going after this thief, George realizes that he’s in for so much more…. Oasis was completed and released in 2013, and was accepted as Official Selection at over 15 film festivals around the world, including Napa Valley, Savannah, South Dakota, Oxford and many others. It won the grand prize at the 15th Singapore TBS Digicon6 and Bronze in the Asia category at AnimlArte Brazil 2014. Sarah Tan is a courageous and cheerful girl who fought an uphill battle against late stage kidney failure. Her wish was to visit an animation studio and understand how animation was made. Together with the Make-A-Wish Foundation, we hosted Sarah and her family at our studio. To celebrate her 17th birthday, we produced “Sarah’s Dream” which was based on an actual dream Sarah had of her beloved grandmother. The animation was inspired by Sarah’s drawings and was also narrated by her. View “Leo the Wildlife Ranger” in 360 virtual reality video! For greater immersiveness, put on a Google Cardboard viewer and use your YouTube app on your phone to search for “Leo the Wildlife Ranger 360 video” and play it in VR mode! Working with MediaCorp, we conceptualized and produced a TV commercial for Singapore’s Public Utilities Board as a PSA featuring a whole new cast of super hero characters alongside PUB’s mascot Water Wally and a catchy brand new theme song. We conceptualized and produced all the CG elements in this fun video for SingTel. "Gnome" is our animated short film produced in 2016. It features a forest gnome helping a caterpillar. As in the short film, this AR game allows you to bring to life the gnome on your desktop. Just download and print out this AR marker, and then use the app to scan the marker to see it come to life! We created a monster for a teaser of an upcoming movie by Taipan Films! "Leo the Wildlife Ranger" is a popular edutainment series for 3 to 6 year old preschool children, teaching fun facts about the beautiful nature and wildlife that surrounds us on this blue planet. Junior Rangers Leo and his kid sister Katie, their loyal dog Hero and Ranger Rocky brings you on fun adventures around the world, where they explore and learn about nature. Leo’s AR App is in the works now to bring you greater interactivity with the characters and also learn more about animals in a fun an engaging way! Stay tuned for more information! Counting With Paula is a fun and educational show about numbers, counting, colors, shapes and social development skills for pre-school children. Counting With Paula VR App is now in the works to bring more fun in your child's learning! Stay tuned for more information! Counting With Paula AR App is now in the works to bring more fun in your child's learning! Stay tuned for more information! Argo's World is a 15x 22" STEM-based infotainment program that takes Marie and Argo on adventures in Cyberspace, where they meet fun and quirky characters from history and in the modern world who help them solve their mysteries and teach them exciting facts about STEM principles, leading audiences of all ages to enjoy learning math and science in a fun way. The Senior Storyboard Artist is required to draw scenes panel by panel for action visualisation and to compile the boards into fully-timed animatic. Studying script to understand the required mood and overall theme, generating creative ideas to make visual story fresh and interesting, and ensuring that continuity between scenes is maintained are the crucial process in producing boards to meet Director's vision. At least 3 years' experience in similar capacity is mandatory with full understanding of CG animation pipeline and ability to meet production timeline. The Senior Concept Artist is required to create proper concept art following the tone and mood as set by the Lead Concept Artist. It is expected that the candidate will self-direct, research and obtain suitable references for design variations prior drawing sketches. At least 3 years’ experience is mandatory with good communication skills and a positive work attitude. The programmer/pipeline TD is required to write pipeline tools, troubleshoot and optimise them in order to keep artists’ efficiency at the best level in CG production environment. The candidate must work closely with CG Supervisor, Department Leads and Technical Director to understand the programming objectives and requirements. A candidate who’s a result driven, with high organising skill and able to work within a given timeline is preferred. Fresh graduates are welcome. Assisting IT Department with daily IT support on hardware and software issues, inventories and general network/server management. The Lead Animator leads the team to complete the assigned tasks and achieve the desired quality within the timeline given. The Lead Animator manages tasks allocation to the team member, checks the quality of the completed tasks, provides constructive feedback while continue motivating and inspiring the team on daily basis. Critical thinking, strong problem solving skill, strong team management skill and time management skill are highly required to be successful in the role. At least 3 years’ in similar capacity in required, with good communication skills, a positive attitude and the ability to lead multiple people in getting things done. The animator is responsible for animating each assigned shot and bring the scene and the characters to life on screen. At least 3 years’ experience is mandatory with good communication skills and a positive work attitude. Based on the provided storyboard/animatics, the Layout Artist is required to stage and setup every shot and camera and layout the animation that will take place within each scene. At least 1 year experience is mandatory with good communication skills and a positive work attitude. The Producer is responsible for successful delivery of all projects, completing them within the given budget, timeline, and meeting the expected quality. The candidate must be able to strike a balance between business/production requirements and creative needs, work closely with Director and CG Supervisor to ensure direction, execution and delivery timeline are aligned, and drive weeklies with team leads of all departments for production status, understanding production concerns and finding right solutions with the team. At least 3 years' experience in similar production capacity is mandatory, with full understanding of CG animation pipeline, good English communication skills, leadership and resourcefulness. The Senior CG Generalist must have a high degree of proficiency in rigging and a varied skill level across areas of lighting, rendering, compositing, and visual effects. The candidate must work closely with CG Supervisor and department leads on day to day basis and participate in creative problem solving with the team. At least 5 years' experience is mandatory with thorough understanding of most CG techniques and technologies, ability to resolve problems creatively and technically, good communication skills and a positive work attitude. The Senior Modeler is responsible for creating CG assets based on approved concept art in the desired quality and technical specifications. A full understanding in asset creation workflow such as 3D modeling, digital sculpting, retopology, texturing, UVs unwrapping and shading is required. At least 3 years' experience in similar production capacity is mandatory with skillset ranging from stylized look, semi-realistic and highly realistic. The Senior 3D Animator is responsible for creating high-quality animation which align with creative direction from Animation Director for various projects. The candidate must be able to manage technical challenges alongside with Lead Animator and assist the Lead Animator in coaching multi-level artists (fresh to mid-level) in improving their skills and knowledge. At least 5 years' experience is mandatory with expertise ranging from 3D character animation in stylized, quadruped animation to fantasy creature animation. The Senior Lighter is responsible for creating the final look of visually stunning scenes, while technically maintaining the consistency of shot quality and desired look as defined by VFX Supervisor and Director. Optimizing and troubleshooting lighting and rendering problems, building and supporting light rigs, shading setups, as well as research development on techniques and technologies related to CG rendering and development are part of day to day tasks with the lighting team. At least 5 years' experience working on variety of TV series, feature film and commercial projects with good understanding of VFX, cinematic, feature film animation production workflow. The Senior Compositor is responsible for seamlessly integrating the elements and layers of a shot, including live-action and CG elements, and delivering final shots that are creatively and technically excellent, aligned with creative direction from VFX Supervisor and Director. The candidate must be able to evaluate the creative and technical approach for assigned shots, maintain constant communication with the team, perform all tasks associated with the compositing process, including 2D tracking, matte extraction, layering of elements and colour grading, and complete tasks within the given schedule. At least 3 years' experience in similar production capacity, good communication skills and a positive work attitude. The 3D Animator is responsible for creating high-quality animation which align with creative direction from Animation Director for various projects. At least 2 years’ experience is mandatory with good communication skills and a positive work attitude. The Lighting Artist is responsible for lighting and rendering CG shots for all scenes while following the artistic and technical direction from Lead Lighter for various projects. At least 2 years' experience is mandatory with good communication skills and a positive work attitude. Travel season peaks during the year end, and this year, visitors to Singapore's Changi Airport - the world's best airport - will be entertained by a sweet animated story produced by the award-winning Omens Studios, called 'Tales of Christmas'. The animation is designed and produced for Changi Airport's brand new Terminal 4 (T4), which features a unique video wall measuring 70m by 5m, the only one of it's kind in the world. The production of this animated story, 'Tales of Christmas', was led by Omens Studios' director Sacha Goedegebure and producer Kelvin Chow. The requirement from the client was simple – produce a world-class animation and show acts of service for the passengers. The Omens team set out quickly to create an engaging story that could make full use of the unique wide canvas spanning 70m in length and 5m in height. Sacha's pitch was that anyone growing up with The Brothers Grimm's Fairy Tales would remember the traditional story of elves tirelessly helping the old shoemaker to complete shoes to give to needy children around the world. In the spirit of the season and context of T4, travelers can enjoy the vignettes of elves helping travelers along their way through their kind acts of service, be it finding a lost wallet, retrieving a teddy bear and even offering cookies. If one looks more closely, travelers can even catch a flying Santa in the background where the elves unload Christmas gifts to be brought under the Christmas tree. Working on such a unique canvas is not without a learning curve. The adage of a heavy emphasis on pre-production rings true for this animated project once again. The client brief, while simple, had to be broken down into elements that will work, and the Omens team anticipated correctly that the story development process took the most time to get right. The key learning point for this project was to understand how to tell a narrative visually on a very wide screen, where traditional cuts between scenes will not work well. It was decided that the story unfold in one continuous long shot, while covering multiple story vignettes occurring at different parts of the screen. The main focus, however, will be on a little girl who lost her teddy bear, and how the elves helped her find it. A true artist at heart, Sacha also keeps an open mind to collaborate with partners and clients. With an understanding what works for all stakeholders as well as the audience, the team found a balance that managed to make use of the unique screen to tell a beautifully rendered story that also brought to life the emotions and feelings of giving in the spirit of Christmas. The tight deadline also meant Sacha and his team needed to rely on successful formulas to manage their workflow. 'We worked on a robust pipeline for our award-winning animated series and thankfully that was the experience we could tap on for this project.' Sacha recalls. On the technical front, the team adopted a production pipeline where digital assets were animated in Maya and then transferred over to Blender. Animators and Lighters worked hand in hand to develop a smooth workflow. Additionally, for 'Tales' what was needed was more photorealism, which meant higher quality textures and shaders to bring out the finesse of realistic visuals that could add the feel of the world of elves and world-travelling passengers. The heavier meshes needed for modeling also meant more render time. This level of high quality animated visuals required more number-crunching. In anticipation of the render requirements, Omens Studios added more GPUs (Graphics Processing Units) to fortify the studio's custom render farm. Each frame eventually took up to 30-40 minutes to render, even after optimization. Working on animation projects is really about working as a tight team. Everyone has to be hands on, brainstorming, contributing and problem-solving so that the creative quality is achieved. Sacha recollects with a smile on his face, 'I like it when people share passion – and not do it because it is work. That is where you truly discover yourself and your creative spark. Seeing the animation team growing, including the compositors and lighters, is indeed like pushing yourself to be that artist you've always wanted to be'.